Apple was rumoured to debut a Siri speaker of sorts prior to WWDC, and at today’s keynote, the company announced HomePod, in what appears to be the company’s challenge to Google Home, Amazon Echo and Sonos in the home. The wireless HomePod speaker is powered by Apple’s A8 chip and “delivers amazing audio quality and uses spatial awareness to sense its location in a room and automatically adjust the audio.” It will work hand-in-hand with Apple Music. 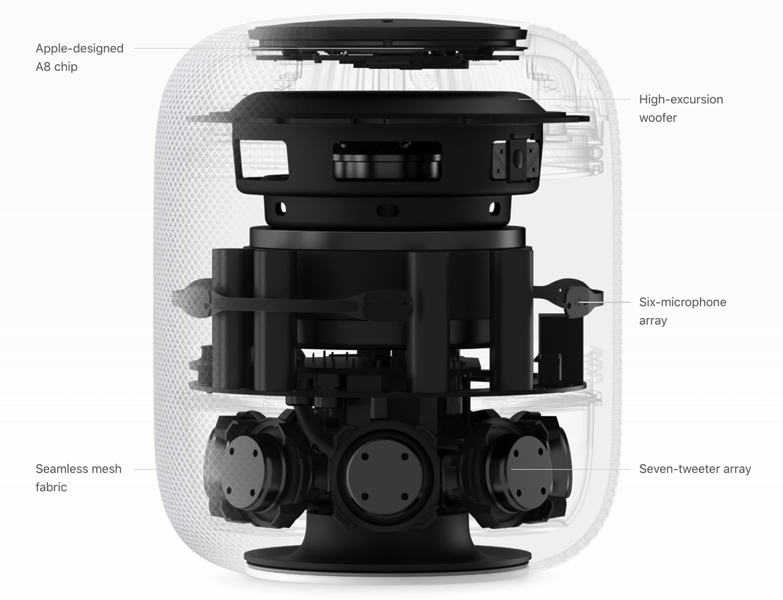 The HomePod also has room-sensing technology, which Apple says can learn its position in a room to deliver the best listening experience in seconds. There’s a six-microphone array so you can say “Hey Siri” and ask the speaker any query you would normally ask Apple’s virtual assistant. 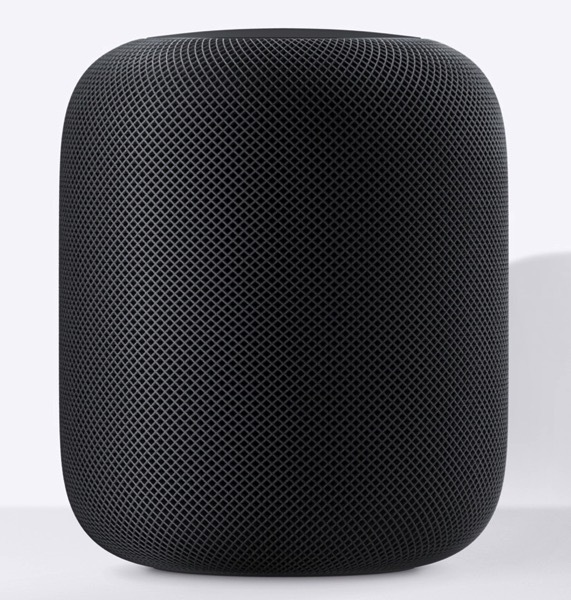 The design of the HomePod looks like a small cylindrical ball of yarn, but covered in wired mesh, available in space gray or white. The top of the speaker has touch controls and lights up to show when Siri is activated. Customers will be able to have additional HomePods at home, for what Apple calls an “immersive experience.” To setup a HomePod, all users need to do is hold their iPhone next to the device, in a pairing process which sounds similar to AirPods. HomePod pricing will be $349 USD and will launch in December in the U.S., UK and Australia. Yes, Canada will not get HomePod at launch, but Apple said worldwide availability will be in 2018. What will HomePod pricing be in Canada? 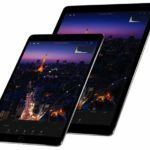 $349 USD works out to $470 CAD with today’s exchange rate, so expect this thing to cost around $500 CAD when it launches in Canada sometime in 2018. Apple’s HomePod looks to target higher-end users who would probably consider a Sonos speaker, it appears, as Apple is emphasizing sound quality instead of just offering a voice assistant like Google Home (now available for pre-order) or Amazon Echo. Who’s buying one? Time to call up your American friends and family to get one of these bad boys first in December.